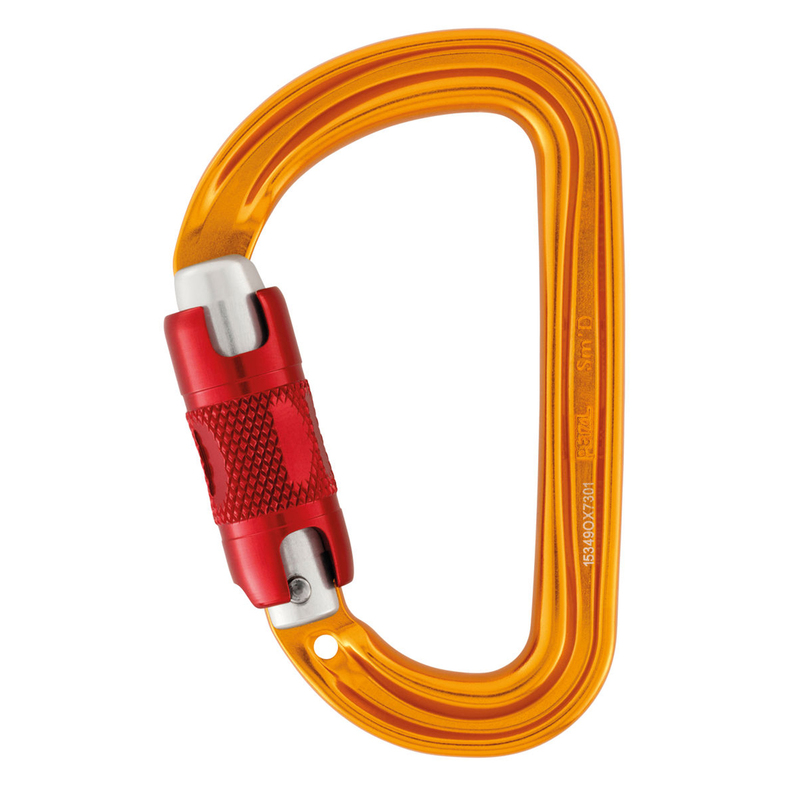 The Petzl Sm'D is a compact, lightweight, D-shaped locking carabiner with the Twist Lock system. Designed for use where speed of opening is essential, the Petzl Sm'D Twist Lock is ideal for use with a belay device or any other device that must be repeatedly removed and attached with ease and speed. I use these with my GriGri+ and also with my safety leash as they are a good size and the locking mechanism is solid and easy to use one handed and has always locked 100% of the time so no chance I will forget to tighten the screw gate.